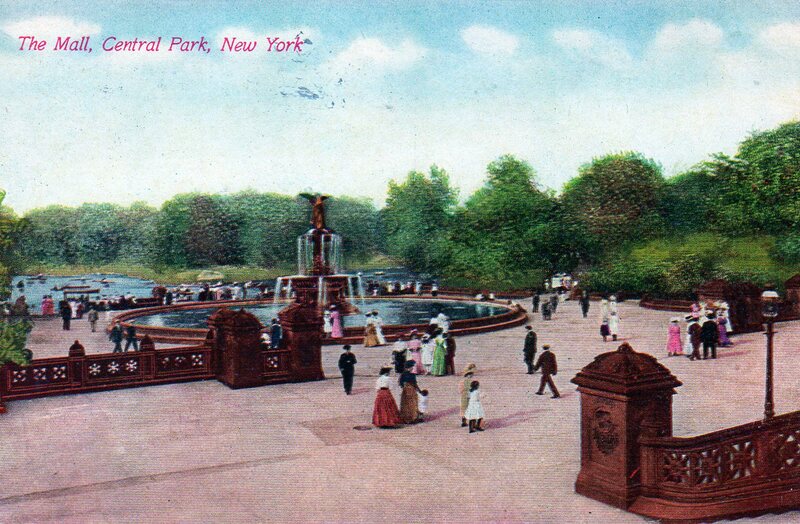 Frederick Law Olmsted and Calvert Vaux set out to recreate nature when they designed Central Park, laying out windy paths and serpentine walkways that would follow the woods and pastoral settings they had planned. But they did allow one formal concession, the only intentional straight line in the park: a quarter-mile “promenade,” as they called it in the 1850s, where New Yorkers could mingle. 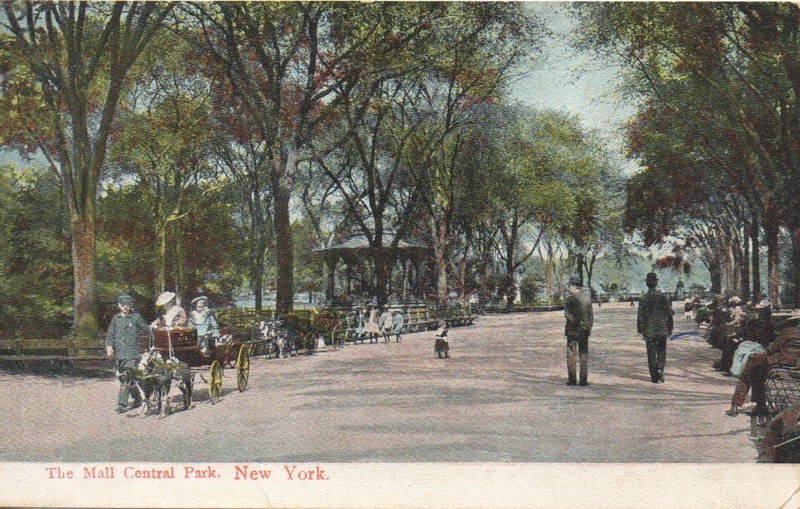 The Mall was “specially designed to accommodate the width of carriages passing through its bounds,” explains centralpark.com. And for the little ones, goat and donkey cart rides! 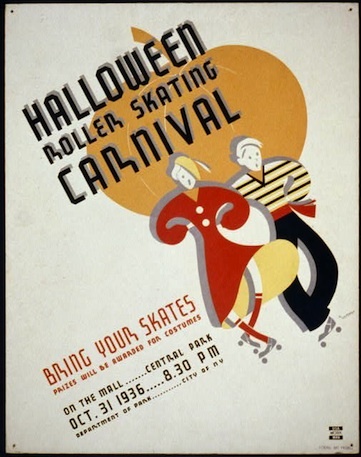 Except for the pumpkin obscured in the background, there’s nothing particularly Halloween-esque about this poster, designed by the Works Progress Administration in 1936. Though it looks like the carnival is geared toward adults, this poster for the same Halloween event clearly has kids in mind. I’d love to know what the prizes were. Both are part of the Library of Congress’ excellent WPA poster collection from the 1930s and 1940s.